The Osun Government on Wednesday said that it has grown the balance sheet of its investment agency, Omoluabi Holdings Limited (OHL) from N300 million in 2011to N3.6 billion. Dr Tunde Faleye, the Managing Director of the Agency who disclosed this to newsmen in Osogbo, said the figure represents an increase of 760 percent in the last six years. Faleye said the height achieved by the agency would not have been possible, without the support of Gov. Aregbesola. He said the governor encouraged introduction of various business innovations that have been turning in good returns for government. 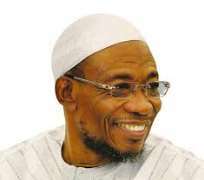 “To avoid confusion, the same agency the previous government christened Osun State Investment Company (OSICOL) is the same agency that has been renamed by Aregbesola’s administration as Omoluabi Holdings Limited. “With the new mandate since the present administration came on board in 2010, Omoluabi Holdings Limited has grown from being a state-managed business concern to a conglomerate handling multiple businesses. “We are able to achieve this relative success with our routing of strategic Investments through application of private sector efficiency and profit focus at handling projects. “Omoluabi Holdings has subsidiaries in Oil and gas, modern poultry and establishment of Agro-Allied Company. “We also have interest in quarry business and Cocoa plantation farms, to mention but few,” he said. Faleye advised states in the country to engage in business ventures to augment whatever comes from the federation account, as the era of oil money seems to be passing.